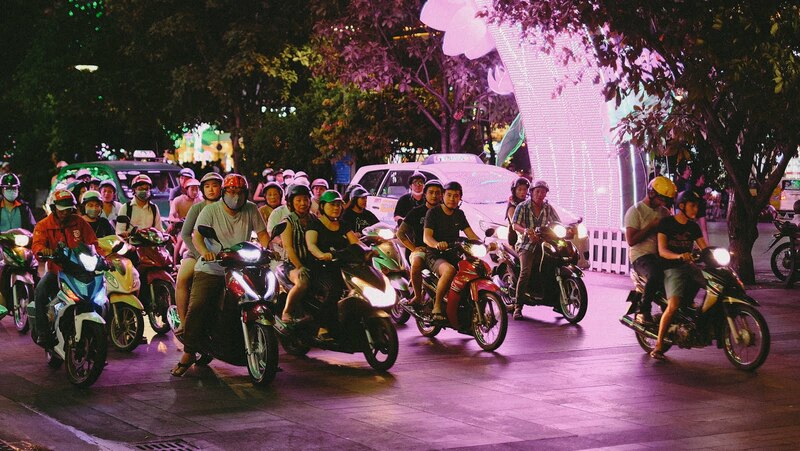 The number of cars on the streets is growing, but the scooter still rules in Vietnam. When fleets of scooters are not parked en masse on pavements, blogging the progress of a pedestrian on what should be his or her home territory, they flow down the roads like a marching army of ants, rarely obeying traffic lights, always missing pedestrians by the slimmest of whiskers. Crossing a street is something of an art, but with a little practice you soon master it. Assuming you survive the first few attempts. The trick is to just walk and pretend you're the only person alive. Do not make eye contact with a scooterist. It just leads to confusion, and confusion leads to accidents.